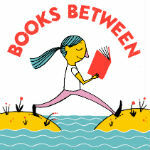 Hi everyone and welcome to Books Between - a podcast for teachers, parents, librarians, and anyone who wants to connect the tweens in your life to books they’ll love. I’m your host, Corrina Allen - 5th grade teacher, a mom of an 11 and 9 year old, and desperate to be DONE with winter, please!! Yesterday we saw robins all over the yard and today… it’s covered with snow again. I believe that the right book can change the trajectory of a child’s life and can help them recognize the world for what it is and what it can be. And I want to help you connect kids with those wonderful, life-shaping books and bring you inspiring conversations with the authors and educators who make that magic happen. This is episode #70 and today I’m discussing three new graphic novels that would be great additions to your collection, and I’m also sharing with you a conversation I had with one of their creators. In this segment, I share with you a selection of books centered around a theme and discuss three things to love about each book. This week I am featuring three new graphic novels released in the last few months that should absolutely be on your radar - Click, New Kid, and Meg, Jo, Beth & Amy. Let’s start with Click by Kayla Miller. This full-color graphic novel is about 5th grader Olive who is feeling left out and left behind when all of her friends have matched up with each other for the school variety show. They’ve all formed acts together and Olive is feeling like she just doesn’t “click” with anyone or anything. Olive’s Aunt Molly! She’s the kind of aunt we all wish we could have - the one whose house you can stay at when things are tricky at home. The cool aunt with ripped jeans, green streaks in her hair, and a “Kiss the Librarian” coffee mug. (I mean - well, *I* think that’s cool!) It’s Aunt Molly that gets Olive these DVDs of old-timey variety shows that leads to her “a-ha” moment. The friendship dynamics in the book! I know a lot of kids can feel like they don’t belong. Don’t feel popular, don’t have a best friend. And as someone who always seemed to be friends with girls who were best friends with each other - I could really relate to Olive. The third thing that I ended up liking about this book is that it’s slower paced, has essentially one main conflict, and it can be read in one sitting. Click is a great option for kids in grades 3-6 who liked Sunny Side Up or Raina Telgemeier’s graphic novel. And - Kayla Miller has a sequel coming out on April 23rd called Camp - so if they enjoy Click, they’ll have another one on the way. That the March family is reimagined as a modern blended biracial family. Mr. March is black and was a widower with one daughter, Meg. And he marries Mrs. March, who is white and also had one daughter, Jo. And they go on to have Beth and Amy together. And that mix of closeness and conflict that can happen between sisters had my daughter nodding her head and laughing in recognition. We also loved that this modern retelling including gay characters and just an overall more diverse slice of society. Noticing what’s changed from the original. I’d read the Little Women many years ago but my daughter hadn’t and I doubt many middle grade readers will have. But we had both seen the movie recently and it’s cool to see how those classic characters are updated. Amy is into gaming - and boy is she competetive about it! And she wants to sell Aunt Catherine’s ring to either go to art school or launch a career as a video game reviewer on YouTube. The book includes most of the iconic Little Women scenes - Jo cutting her hair, Amy wrecking some of Jo’s writing, Jo not saving Amy from an accident that could have been tragic, Meg hanging out with a crowd of a different class, the whole Laurie situation. But each are shifted and told in a totally new way that makes sense for the now. The ending is the same yet totally different. I want to be careful with what I say so I don’t ruin anything if you haven’t read Little Women. First, the story ends when the girls are younger. Jo is still in high school and Meg is in college so there might be an opportunity for a sequel? Also - just like the original, you will need tissues but maybe not an entire box. Meg, Jo, Amy, and Beth is a must-purchase graphic novel for I would say about grades 5 and up. And just like other graphic novels versions of classics like Anne of Green Gables and the Iliad, it’s a way for young readers to access those stories in a format they love. And adult fans of Little Women will love it, too. The third graphic novel that I want to recommend to you this week is New Kid by Jerry Craft. I’m fairly confident that you have already heard about this book since it seems like everyone is raving about it. But let me add my voice to those to say - yes, it’s THAT good. And I am really excited to have Jerry Craft on the show today to talk about how the book connects to his own experiences attending a private school, micro-aggressions, his favorite Chinese food, his inspirations, what’s he’s been reading - and so so much more. New Kid has been getting so much love and support from readers online - you have knocked it out of the park! For our listeners who have not yet read the novel, can you tell us a bit about it? I’ve heard you say that Jordan’s story is somewhat based on your experiences. What are those those similiarites and also - where does the novel diverge from your experiences? And that scene at the book fair is such an illustration of that…. So I have to talk to you about the audiobook of New Kid! What was the process like and what did you think of the final audiobook? So - what’s YOUR favorite Chinese food? A question from Jarrett Lerner..
“I'd love to hear about your favorite comics, comic book artists, graphic novelists. You do such inventive, clever things with your paneling and your visual language. Who are your influences and favorites? So, everyone wants to know - will there be a sequel?! What have you been reading lately that you’ve liked? Thank you so much for joining me this week. You can find an outline of interviews and a full transcript of all the other parts of our show at MGBookVillage.org. And, if you have an extra minute this week, reviews on iTunes or Stitcher are much appreciated. Talk with you soon! Bye!